Using 57.8 inches as an average height of the American man, and in the majority of tables we find this to be the average height figure, we herewith give you a number of comparative physical measurements (see Table 3). By no means should anyone confuse these figures with ideal measurements. They represent the physical proportions of average young college men, and as before mentioned, can be taken as a good standard by which to judge the proportions of the average healthy untrained man. You will note the somewhat more husky figures in the O columns, especially in the average height group. The X columns represent records kept at Yale University by Dr. Seaver. The A column represents records kept at Amherst. The O figures are from a chart prepared by Dr. Luther H. Gulick and represent students a physical training school. This would explain the huskier proportions to be found in the O column. The oldest record on anthropometrical date in colleges of the United States is to be found at Amherst, where students have had the advantage of physical examination and exercise advice since 1861. All of the figures quoted in connection with this discussion are rather old, but serve the purpose nevertheless. Those whom we might consider the greatest scientists in this field conducted examinations and experiments some forty and fifty years ago. We might say that research along these lines was at its height around that time. Often have I heard an ambitious beginner in physical culture express the wish to develop in the same proportion as his instructor. Many of these wishes have been nothing short of foolish, as the instructor was a short man with broad shoulders, while the pupil was of the tall and comparatively slender type with shoulders of no greater breadth than those of his instructor. Just recently I heard this same wish expressed by a young man of about six feet in height; his instructor is of shorter than average height, broad shouldered, proportionately very long in the body, and short in the legs. The pupil may have shoulders of no greater breadth than the instructor, though six or seven inches greater in height. The pupil is of the type possessing a small head and face while the instructor has a head and face of more than average size. There is a tremendous difference in the skeletal framework of these men; it is simply impossible for the all man to develop along the lines of the shorter man. The tall young man just referred to can develop into a wonderful specimen of manhood; in fact, at present he has a splendid physique. Possessing, as we have mentioned, a small head and face, with fairly broad shoulders, trim waist and rather small round joints. Providing he continues the training which has resulted in a forty pound bodyweight increase with several months' time, he can acquire a more pleasing physique than that to which he aspires. I recall another case of a man entertaining foolish hopes. A tall fellow, six feet three or four inches in height, wishing to be built like his instructor, who is nearly a foot shorter, and of extremely sturdy build. The tall man has shoulders which should be regarded as narrow for one of his height. His ambitions waned after considerable exercise had failed to produce a build like that of his instructor. What so many physical culturists fail to realize, is the difference in bony framework of various individuals. If a representative group of American young men, standing about six feet, two inches in height, have an average shoulder breadth of nineteen inches, then men of shorter stature with an equal breadth of shoulder should have a good foundation for a muscular build. A short man of five feet, four inches with a shoulder breadth of nineteen or twenty inches, truly must be consider in a far different light than the tall man whose shoulders are only of average breadth. A truly impressive build may be acquired by the short man possessing such shoulders. His head will hardly be any larger than that of the average for his height, but with shoulders a few inches wider than the average, his neck will undoubtedly develop to great size, his chest should expand to a size equaled only by athletes of much greater height. A short man of this type of build is most likely to have an unusually long body, which is all the more favorable to a relatively massive development, and exceptional strength. Referring to the breadths, you may compare the correct breadth as being approximately one-third of the chest circumference, so you see in a correctly proportioned man the figures would move up a few points above those quoted for average college students. The neck breadth would change by one or more inches. Either is our discussion of proportions, we mentioned certain figures on breadths and girths. As such figures applied only to average underdeveloped young men, we will now attempt to make a comparison with more symmetrical proportions. The breadths given for the man of average height represent an individual weighing 139 pounds, with a 34 normal chest, and 13 3/4 inch neck. Refer to the second column of physical measurements on an earlier page. As we know, a man of nearly five feet, eight inches in height, and weighing 139 pounds is very much under weight. Furthermore, such neck and chest girths are far from what they should be. Suppose we try to be very conservative, and even at that a man of the bony framework represented should have neck, calf and flexed upper arm measurements of fifteen inches, normal chest of at least forty, and thigh of twenty-two inches. Such measurements would indicate a bodyweight of between 150 and 155 pounds, and he would be far from Herculean in aspect. The figures in Table 4 represent measurements which are far from massive, according to the conception of muscular proportions you might receive after reading the claims of some strong men, or the advertisements of some physical culture courses. Don't misunderstand the intention of the writer and conclude that these figures are suppose to represent the final work in ideal proportions. By no means do we intend to convey any such impression, but any man built as these figures suggest, can consider himself very well proportioned. Indeed, he would qualify as an example of excellent proportions. Allowance will have to be made for any variance in ankle and wrist proportions. An individual may have a thin wrist and thick ankle or vice versa. The error to be found in connection with most table of measurement I have seen is that while they propose to represent the possibilities of development, very few well developed men attain such girths. 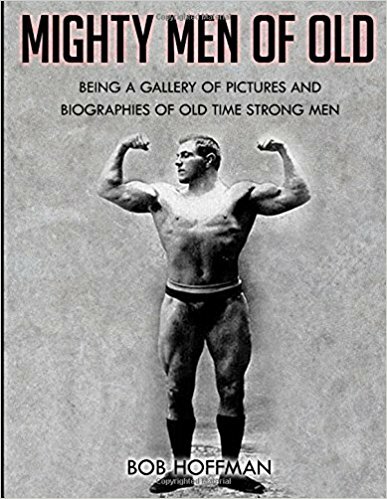 I would suggest that you look over the measurements of such famous athletes as Sandow, Hackenschmidt, Saxon, and so forth to be found in another chapter. You will then realize the impossibility of attaining some of the girths as widely advertised unless you are gifted with and unusual frame. In some athletic circles, a belief exists to the effect that the athlete should be possessed of a tapering build, tall, broad of shoulder, narrow of hips and legs; a deep, round chest and good-sized arms are admired, but nothing like the muscles on the legs is expected. Just why this sort of idea of the athletic build should have gained popularity it is extremely difficult to imagine. As far as we can determine, an ideal of this nature must have gained a hold on the imagination due to a general admiration of the tall, relatively slender athlete. In the present volume, we might point to photographs of Anthony Sansone, Tom Tyler, and Dave Willoughby as sterling examples. To tell the truth, personally, we admire the tall fellow, and we can readily understand such a feeling on the part of the general public. The athlete of the type represented by the three men just mentioned is naturally narrow in the hips and his legs appear slender in contrast with the short stock fellow or the tall, heavy athlete, especially when no attempt is made to make the leg muscles prominent. However, a great deal of this effect is due to the length of the leg bones and a natural trimness of the joints. The muscle is really there, but is stretched over a great length. That the strength is there, no one will deny, as we have only to point to the lifting ability of Tyler and Willoughby. Sansone is not interested in lifting for records, but we have only to judge of the shapeliness of his muscles to know he has the potential power if he wants to apply it. As much as we admire this tall and comparatively slender man, as a strength and development enthusiast we must consider certain other values. 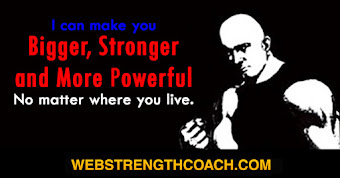 We know that in actual strength the six-footer weighing one hundred seventy-five to one hundred eighty-five pounds does not compare in strength with the man of the same height who weighs fifty pounds more. 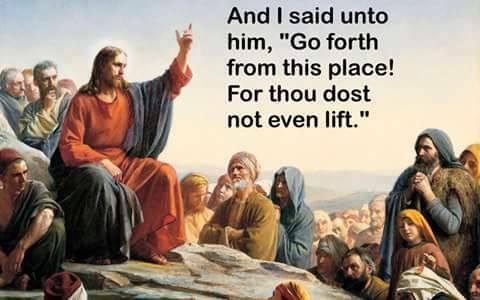 Then again, we find a shorter man weighing in excess of two hundred may be fore more efficient at either lifting or general strength. Charles Rigoulot is of average height; muscular, and not fat looking as he has been in recent years. Such a degree of development was not abnormal to him, as his bony framework was adapted to an extreme type of muscularity. Of course, many other men have been born with an equally heavy skeleton, but they have failed to arrange their lives in a proper manner to build a natural limit of physique. 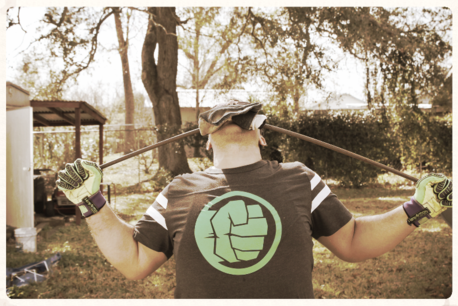 It is foolish to refer to fully-developed muscles as being "dormant." We do not expect to tax our mental powers to the limit at all times, nor do we expect the heart, lungs, and other vital organs to be just strong enough to carry on the everyday duties attached to keeping us alive; in a high state of health, the body working well within the limit at all times, with plenty of reserve for emergencies. Efficiency, both mental and physical, is maintained only when there is plenty of reserve. What weak, spineless creatures we would be if our muscular structure only needed to be powerful enough to carry on the ordinary duties of and everyday existence. 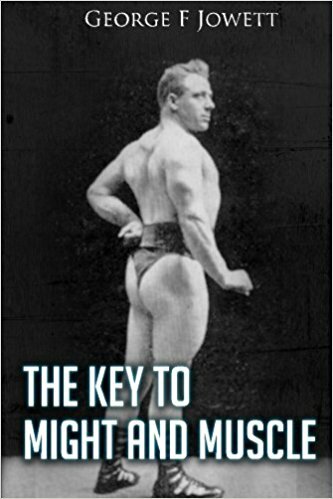 While it may be natural for one type of man to develop along the tapering, broad-shouldered and relatively slender-legged lines, another man with a heavy skeleton would be very much underdeveloped if built in os was Sandow, and Saxon was very little taller than average, though Gorner and Steinbach both stand around six feet and weight about two hundred forty-five. Some individuals are altogether too prone to speak of abnormal development; something we are at a loss to properly define. Certainly we know what is meant in theory by the expression "abnormal development." But in a practical sense, we fail to conceive of such a thing. Refer to the photos of Stanley Zbyszko and you will have an idea of the type of muscularity referred to by some persons as abnormal. At other times, you will hear such muscles called "dormant muscles." The implication being that the muscles are useless in every day life and merely of value to the possessor at infrequent periods. Now, so far as the average man is concerned, the muscular development of Zbyszko would be abnormal, simply for the reason that he couldn't hope to attain anything approaching it. To the average man, an equal degree of development would be impossible, regardless of what system of exercise he followed. 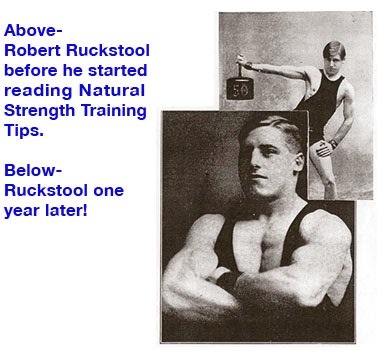 The truth of the matter is, no other man of his height has ever attained such development, nor has any athlete of a different height attained a proportionate degree of muscular massiveness. We are referring to the Zbyszko of a few years ago at the time he was purely proportion. The man with broad hip bones and large joints has the potential framework for a heavy development, and we expect to see it on him. In fact, we admire the extremely muscular physique because it gives us an idea of the developmental possibilities of human muscles and great strength. Look at the tremendous development of Charles Rigoulot, five feet, eight inches in height, and two hundred and thirty pounds; yet he is quick as a flash in action, and handles weights beyond the limit of any other human, in a quick and supple manner. Of what use would Rigoulot be physically if built in proportion to Sansone, Willoughby, or Tyler? Possibly he might weigh as much as one hundred and sixty-five pounds, and granting he would be just as fast, where would his wonderful strength be? If the larger muscles were unnatural, the individual would be unable to move them properly, and in fact, it would be impossible to properly nourish them. We can only reasonably conclude that the man of heavy bony framework which is adapted to a massive development also has vital organs of greater size to properly nourish the muscles nature intended him to have. If he neglects to take advantage of the potential powers born in him, he simply goes through life in a low state of health efficiency. Through the means of proper exercise, he may build muscles and strength in proportion to the framework his forebears handed down to him. Truly, the man of the rangy type, regardless of his height, may develop a most pleasing build, especially if his hips are narrow, his legs are straight, and shoulders quite broad in comparison with the rest of his body. This type produces the most graceful looking figure, but never the physique of most exceptional power or ruggedness. 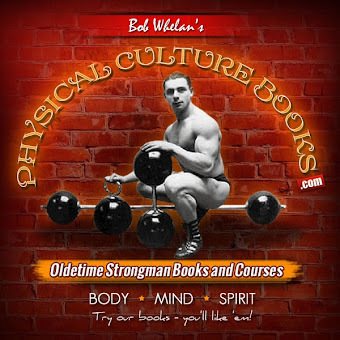 As physical culturists, we are interested in the relatively slender fellow, but as strength enthusiasts, we are interested in the type which produces the greatest bodily power and the muscular development essential to the highest degree of strength. It is in reality this last reason that makes us gaze in awe at the colossal, beefy strength athletes, who possess nothing in physical beauty, but in the production of pure, unadulterated power, they have it; men like Cyr, Swoboda, Miller. We have just brought up an important point to be considered in discussing the question of, and deciding upon ideal proportions. All men of one height do not have the same length of arms. The man with extra long arms generally has shoulders of far greater than average width, which also tends to complicate the problem considerably. According to the majority of ideal tables, the arm span should be equal to the height, but upon strict investigation of facts, arrived at by measuring athletes and well-developed men, we are most apt to find the span of arms to exceed considerably the height of the individual. The trouble with charts of average measurements, such as those of leading colleges, to which we have previously referred, and upon which ideal tables are mostly based, is that they represent an average run of men and not exceptionally well-developed men who might be used as models of physical excellence. A short man, standing no more than five feet, four inches in height, may have an arm span of four to six inches in excess of his height. Whether or not this would prevent his being considered as an ideal type, the fact in which we should be most interested is the relative ease with which he may develop the muscles of the upper body. Among those of short stature who excel as athletes in all branches, you will find a predominance of this physical type; broad shoulders, long arms, long body and proportionately short legs. The same thing will be found true only to a less extent, among athletes who are of average height or even taller. It is only among very tall athletes that the arm span will be no greater than the height. 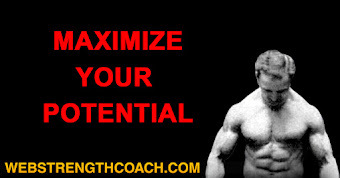 I am referring to athletes of outstanding ability and exceptional physique. 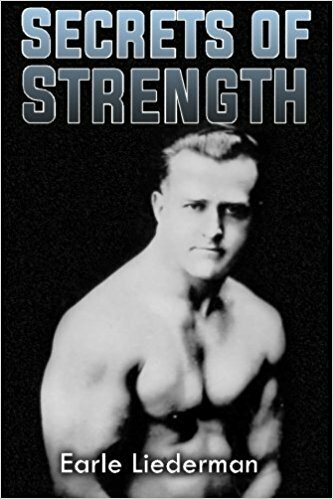 The man with shoulders of greater than average breadth and fairly long arms, develops arm, shoulder, and chest muscles much easier than the man with average bone length. As a result, he is able to do things of an athletic nature with greater ease, and although his legs may be short and not proportionate in size, he is physically efficient on his feet. This type of man is likewise more apt to develop the highest degree of strength compared to bodyweight. And of importance to us in this discussion, a degree of muscularity most nearly approaching perfection when judged by the experienced eye. From a health standpoint, the man of this type we are at present considering, is vitally more efficient. Broad shoulders and a predisposition to roomy chest development, plus long body in relation to leg length, mean extra room for the vital organs. Besides being better for vital functions, the endurance and recuperative powers should be of high quality. I realize this discourse may seem to have strayed from the original intention of arriving at some satisfactory conclusion regarding ideal proportions. However, it is my wish to convince you of the confusion attending any such attempt to set up invariable standards. The more we consider the subject, the more we will become convinced of the necessity of some medium other than the tape measure, by which to judge of ideal and perfect proportions. The very word proportions gives us the key. The experienced eye must serve to judge of the correctness of proportionate size of one part of the body as compared to another. Granting this to be so, the next point to be observed, is some standard by which the enthusiast may judge himself personally, both as to his degree of proportion and as to his nearness to perfection of muscular size as compared to his bony framework. Sometime ago, in an article written for STRENGTH Magazine, the writer declared the face head the best standard for deciding proper proportions for each individual, the trained eye being the best judge. Truly, difference of opinion will creep in here as to the exact degree of development of muscularity, but such failure to recognize a common standard is to be expected, regardless of the method adopted. Taking the width of the face and head as a criterion, we should decide first as to whether the neck is properly developed in proportion. Now, as a little thought will convince you, this first step is correct whether your ideas of ideality lean towards the exaggerated Herculean or the immature Apollo-like figure. The inexperienced person may be impressed with the appearance of a physique which would be considered altogether undeveloped by the connoisseur who has grown used to gazing upon good physiques and expects to see something most extraordinary before becoming unduly elated. The average man or boy may be impressed by a type of muscular development which would not be impressive to the experienced observer, whose eye is trained to judge muscular development and proportions. The man or boy with eye untrained in such matter can serve as a good judge of impressiveness alone, but not for symmetry or proportion. The muscles of an athlete may be huge but unsymmetrical; nevertheless, impressive. The thoroughly trained eye is needed if judgement of symmetry and proportion is to be worthwhile. The neck should conform to the physical type of the individual. Thus in the second step, you have a way of arriving at some definite conclusion as to the proper size of the flexed upper arm. The short, thick set man should have an arm somewhat smaller than the girth of his neck. Figure one inch difference for the short man of this type and two inches for the tall man of the same type. The proportionately slender man, whether tall or short, should have arm and neck girths of about equal size. As we are considering two extremes, the short thick man and long slender neck, we must expect variations of all kinds in between. Judge by the appearance of the neck as compared to the face. In doing so, consider whether the face, also including the head, is round and full when viewed from the front, long and thin, or of a square type with prominent jaws. Due to these variations, you will find exceptional cases, where the proportion appears correct to the eye, but the tape measure tell a different tale; the eye should be a more sensible means of judging. In case you question our use of a tape when the eye is to be the judge, let us explain that this chapter is intended as a source of information to those who wish to become expert in judging physical perfection in their own case as well as in viewing the poses of others. The forearm must conform to both the upper arm and size of the hand. The chest should appear full and roomy as compared to the waist, possessing a full arch in front and a long tapering curve in the back when viewed either from the side or the rear. In depth, the chest must be compared to the length or depth of the head, and the waist and hips as well. The waist must be trim and muscular, clean cut and minus fat, but not too slender so as to give a wasp-like appearance. A degree of graceful symmetry must exist between the waist, hips, and thighs. If the hips are narrow and the buttocks small but shapely, the thighs may be slender without detracting from the general appearance. Broad hips and prominent buttocks would call for a square and thick set waist in order to preserve proportions. Then the thighs would have to be very well built and muscular. Well rounded, tapering curves on the front and sides of thighs and a full curve in the back of the thighs should be looked for. The calf should conform to the standard of the neck and upper arm. The tall, rather slender fellow, or small fellow built along identical lines should have neck, biceps, and calf of about equal size. The fellow with extra broad shoulders, long arms, and short legs would have calf smaller and neck larger. In either case, the calf must appear full and round in proportion to thigh, knee, ankle and foot. With all the foregoing duly considered, experience in observing well-developed men, both in the living flesh and in photograph, will prove the only satisfactory means of ripening the judgement. Following, you will find more tables of comparative measurements, this time suggesting figures to which one may reasonably expect to develop rather as compared to both the average figures previously quoted and exceptional figures seldom attained. Before you may expect to competently judge of ideal perfection, you must consider in turn each chapter of this volume and having read the entire book from cover, reread this data on proportions.